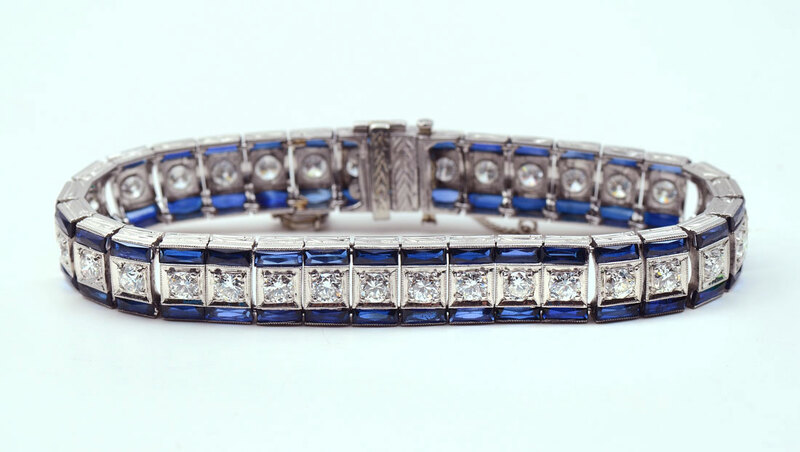 PLATINUM 14.9 CTW DIAMOND & SAPPHIRE ART DECO BRACELET: 3 row line bracelet has 33 stations each set with 1 round full cut diamond rated VS1in clarity and H in color. each diamond is framed top and bottom with French cut synthetic sapphires - a total of 66 sapphires. 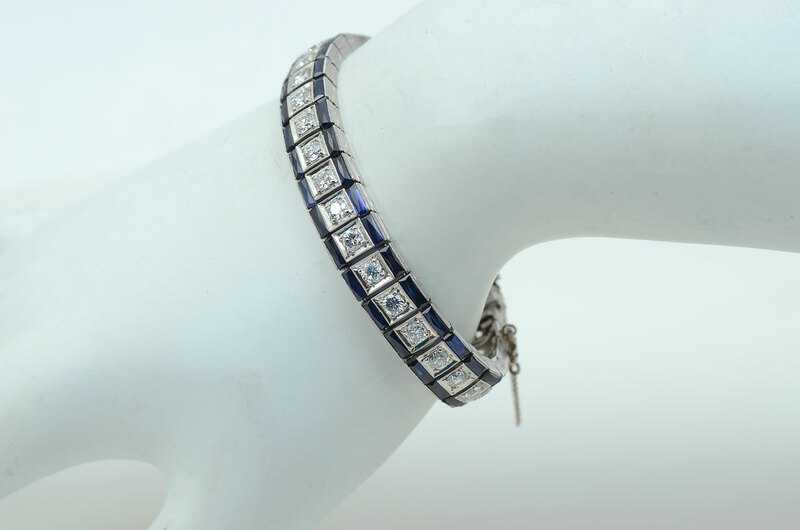 Diamonds are bead set and sapphires are channel set. Weight approx 28.8 grams. 6.5'' long. 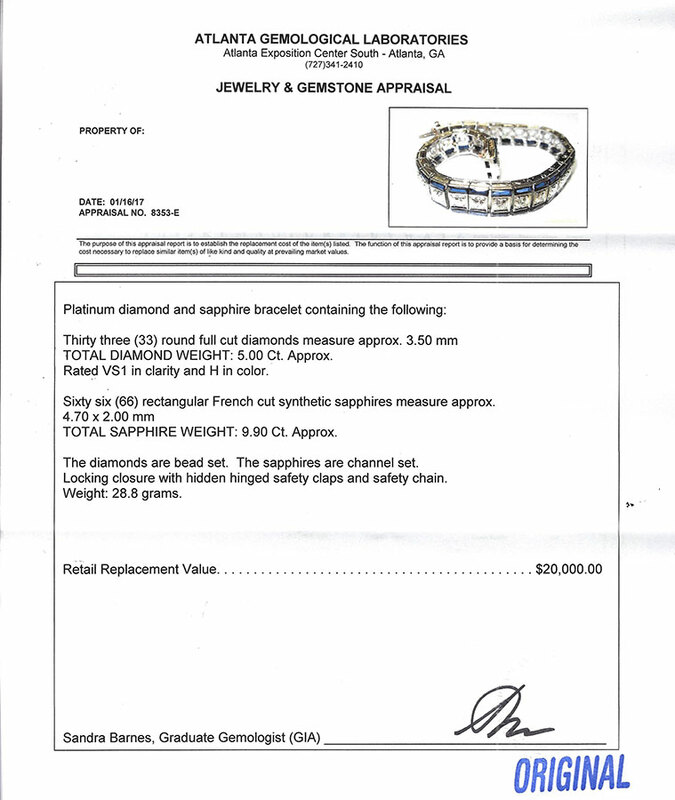 Sold with current Atlanta Gemological GIA graduate's appraisal for $20,000.